Spirit of the WalletSucker. Queen of the Cash Cow. Like many corporations in this day and age, BC Ferries launched a contest asking the public to submit names for its three new vessels. And like other well-intended campaigns, it has been hijacked with hilarious results on social media. British Columbians are more than aware that the company continues to struggle with maintaining service and routes, while cutting costs and capping fare increases. Even the three prizes of $500 in ferry travel ("as well as the satisfaction of naming one of our new Intermediate Class Ferries") was scoffed at. Wow, if you win the @BCFerries naming contest they pay you $500! That's almost enough to go somewhere on BC Ferries! BC Ferries CEO and president Mike Corrigan asked people to "think creatively" for the contest, which closes on June 9. Well, that part is being followed at least. 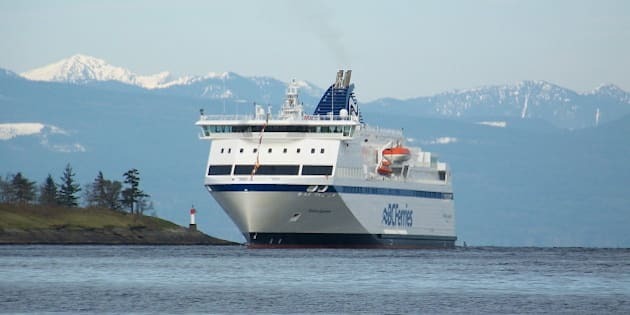 The first of the new ships is scheduled to be rolled out in August 2016 to replace the 50-year-old Queen of Burnaby on the Comox-Powell River route, while a second ferry will take over the Tsawwassen–Southern Gulf Islands sailings from the 51-year-old Queen of Nanaimo. The third will be used to augment service during busy periods for the Southern Gulf Islands, as well as to back up other vessels that undergo repairs.